Check back often for informative articles on running, walking and keeping fit. Take a quick test on how to breathe running. Look down and take a deep breathe. Did your chest raise like superman and tummy stay relatively flat? Great. Like I said… You don’t know how to breathe properly! So now that you know what the problems are how do you fix them? Visit I Love Runnning to find out. This is the weekly schedule and handy reference guide for Canada Get Fit members answering every day questions about running and providing you access to relevant information on endurance running. I normally write my post Boston Marathon article with what I learned about life and the metaphors it teaches me physically, mentally, and spiritually. As you undoubtedly have heard, this one has taught me much deeper lessons about life. I have never run a full marathon. It is highly unlikely that I ever will, and even more highly unlikely that I will ever run the Boston Marathon. 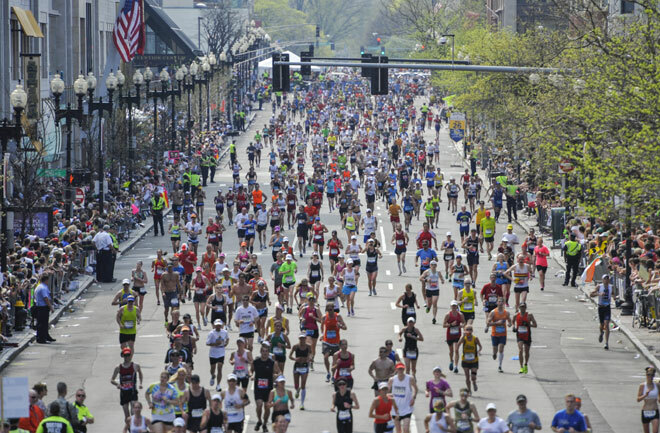 The Boston Marathon: Where do we go from here? Canada Get Fit’s 2013 season is off to a start. Below we have posted the 2013 Program Manual and Weekly Schedules. Never any excuse to miss a run. I always hated running. Agonized each run portion of a triathlon during my first year of participation. Believed for years that running is for skinny people.